FXX has released a spooky new trailer for It's Always Sunny in Philadelphia Season 13. The promo is called "Paranormal Paddy's" and it's obviously a parody of the hit horror film Paranormal Activity. 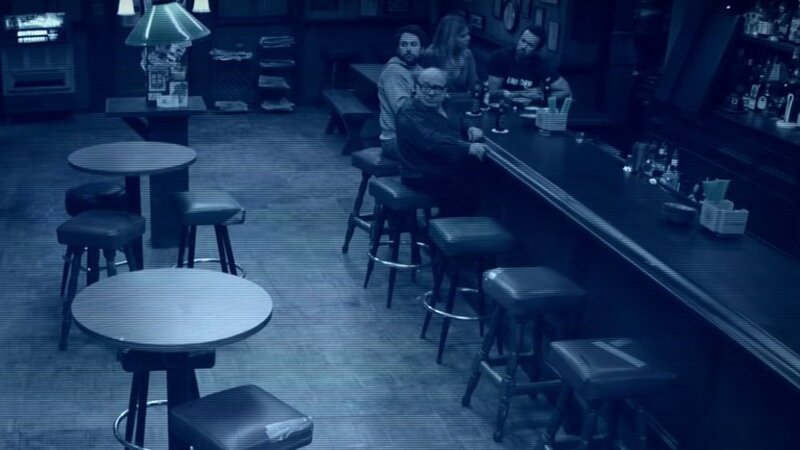 As the gang sits around the bar talking, you'll see some supernatural occurrences going on around them. Of course, none of them notice!